As soon as I opened my jar of WORLDFOODS Malaysian Rendang Sauce I took a big sniff. I could smell the deep flavor layers of coconut, cardamom, cloves, lemon grass, peppery galangal, dried chili, garlic and cumin. 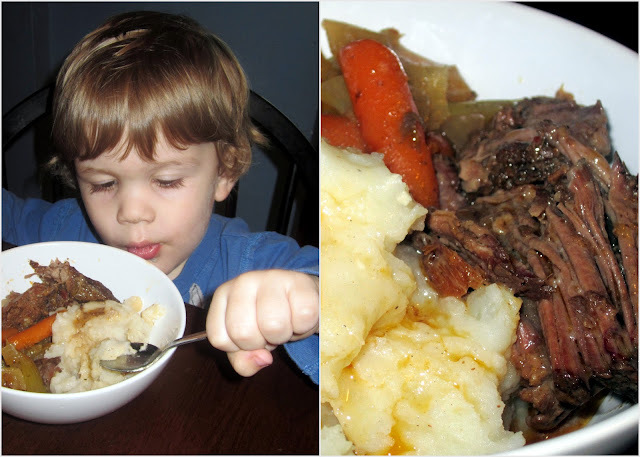 I knew right away that I wanted to make our family favorite chuck roast in my crock pot. I decided that I would do a slow cooked roast bathed in flavorful broth. Creamy mashed potatoes for the side along with the tender onion, celery and carrots from the roast. Serves 10-12 people! I always use my roasts for 2 different meals. We have the roast the first night and then hot beef sandwiches the next. So get out the crock pot and let's get started! My crock will hold 7 quarts. If your slow cooker is smaller you will need to cut the recipe down to fit. -mashed potatoes, may I suggest Bob Evans Original Mashed Potatoes in the refrigerated section. You might like a ready made product if you are short on time but want homemade flavor. If you have the time then I suggest using yukon gold potatoes. Yukon gold have a naturally buttery flavor that goes well with this roast. 1. Toss chopped onion, chopped celery and baby carrots into the bottom of your crock pot. To serve just place a scoop of warm mashed potatoes into a bowl. 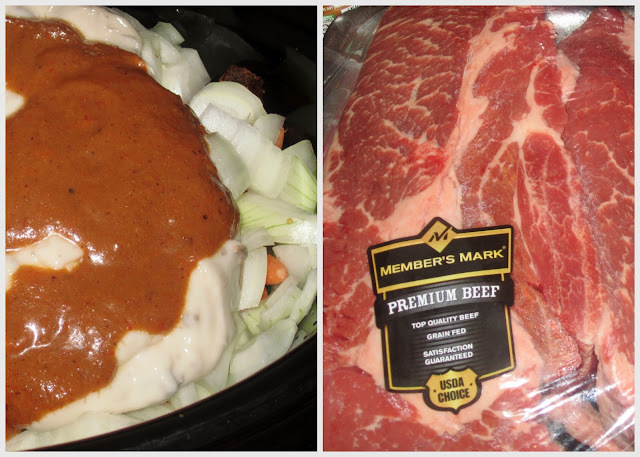 Place hot chunks of beef next to it plus a good helping of the vegetables from the crock. Sprinkle a bit of pepper and salt over the top. Take a ladle and scoop up the hot broth from the crock pot. Ladle this over everything in your bowl. The hot broth will soak into the potatoes, beef and vegetables as you take each and every bite. This is such a relaxed meal but with outstanding flavor like you have been cooking all day. 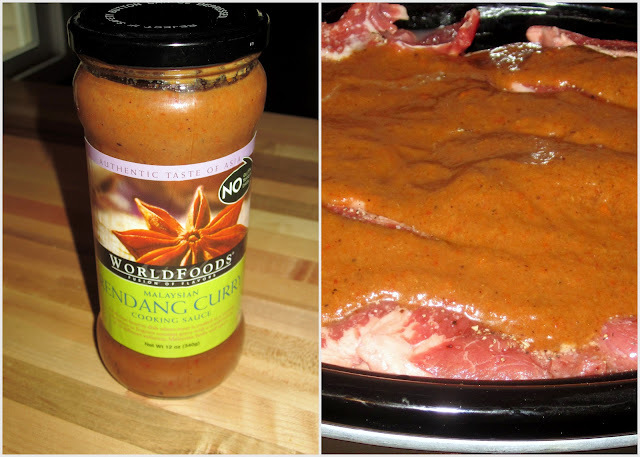 I really enjoyed the light spice of the cardamom, cloves and cinnamon from the sauce. The sweetness of the coconut milk and roasted grated coconut followed every bite. The beef ends up super tender and falling apart. It's absolutely phenomenal and a great winter comfort food. I hope you will enjoy this recipe as much as my family has.